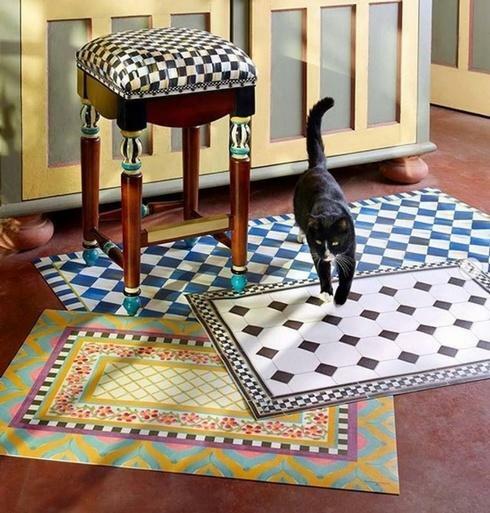 Vietri's Campagna collection is handpainted by skilled artisans on the Amalfi Coast. Pictured is the new Gallina pattern available at Glassworks. The Support & Comfort of Ruby Ribbon Wireless Cami Bras Now At Cheeks! Cheeks now carries Ruby Ribbon intimates, including the highly popular cami/bra combo pictured. As seen on Oprah, Ruby Ribbon makes wireless cami bras that fit every cup size and feel like a second skin for a flawless braless fit. 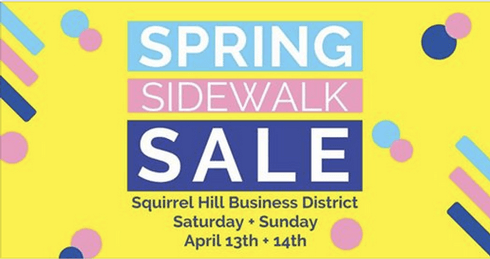 Stop at either Cheeks location to get fitted and experience the amazing support and comfort! Arugula & avocado has never looked so divine. 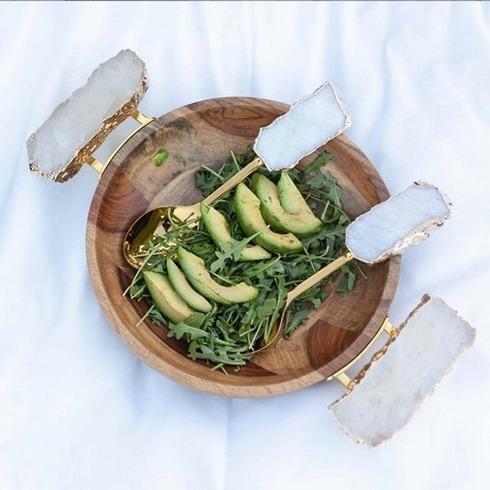 Elevate your dinner party to new heights with Anna by RabLabs' Bosque Bowl & crystal and 24k gold Scossa Salad Servers. 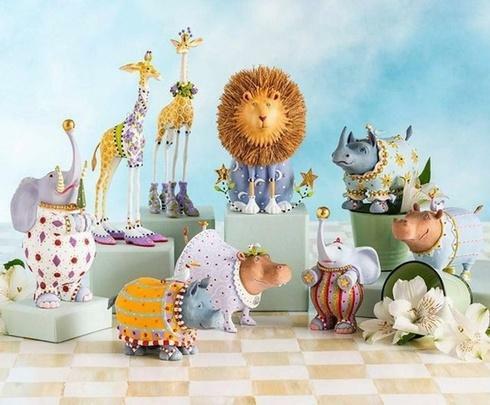 ⁣Come to Glassworks for all your Anna by RabLabs pieces. 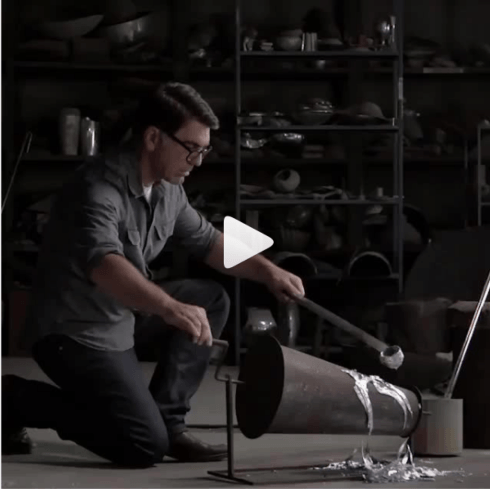 Michael is highly inspired by his surroundings and often represents objects that have meaning for him, especially those that might otherwise be overlooked in the everyday. 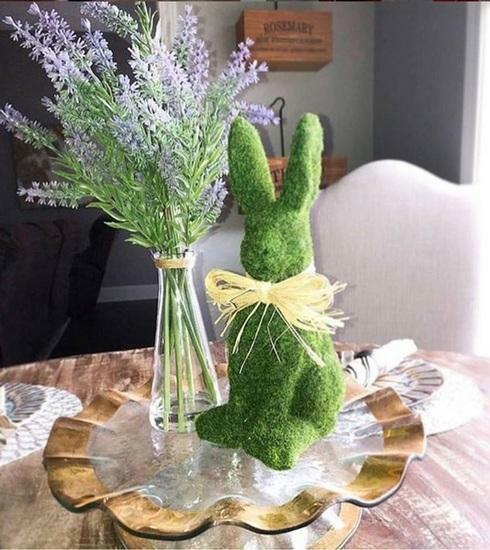 Nature is his biggest source of inspiration, as is the handmade process. 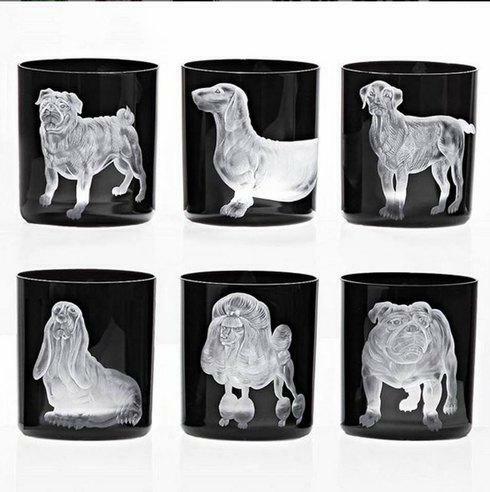 Glassworks has plenty of Michael Aram in stock! 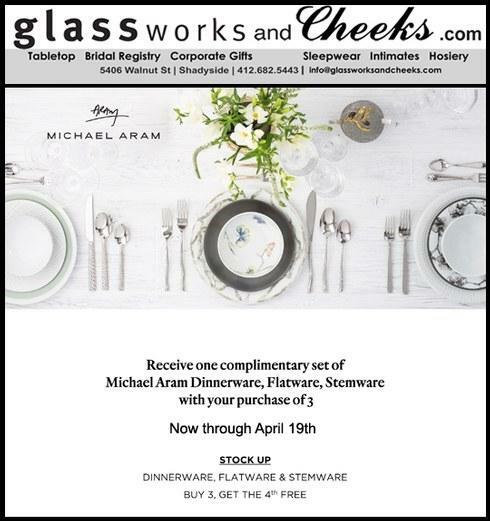 Get 2 Complimentary Christofle Flatware Settings At Glassworks! 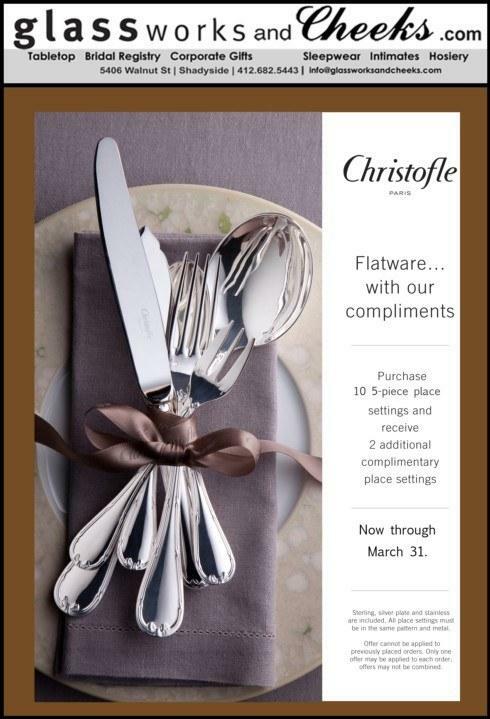 From now through March 31st, buy 10 Christofle 5-piece flatware place settings and receive 2 sets for free! Come to Glassworks in Shadyside to see samples and place your order. If ordering online, please call or email us to coordinate your 2 free sets. Promotion is good on all sets: Sterling, Silver Plated, and Stainless Steel. Blue + white tablescapes are what spring dreams are made of! 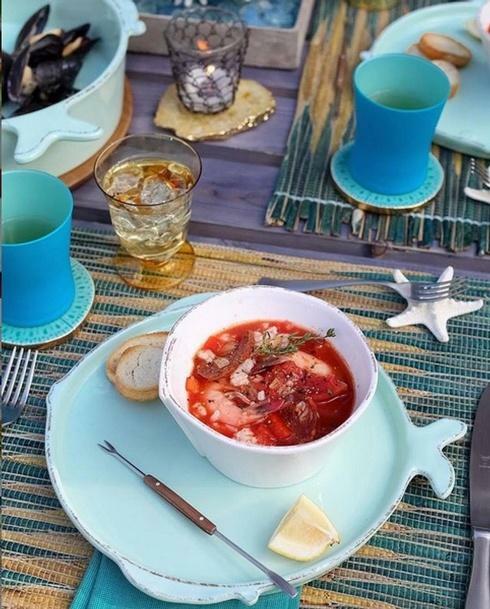 Spring starts today but some warm stew sounds good! 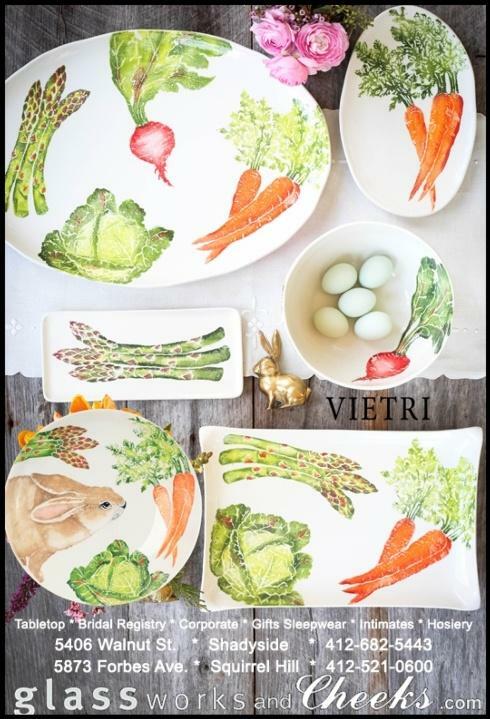 Glassworks has Vietri in stock! 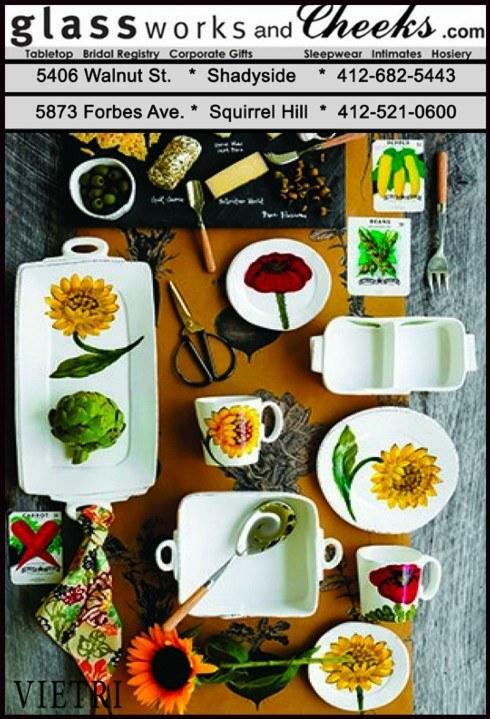 New Vietri Lastra Sunflower Collection At Glassworks! Sunflower collection, blooming just in time for spring. 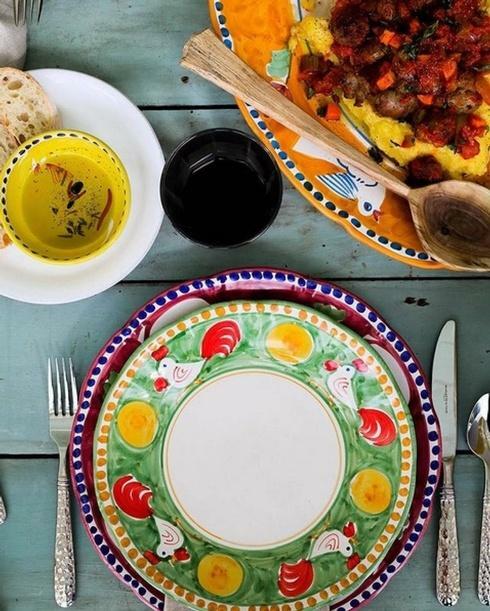 Bring the warmth of a Tuscan summer to your favorite gatherings with bright pops of handpainted color. 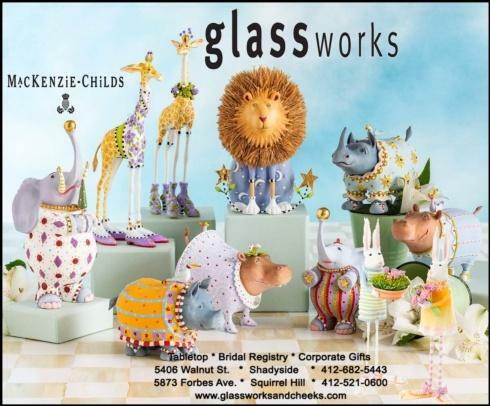 See the collection at Glassworks! 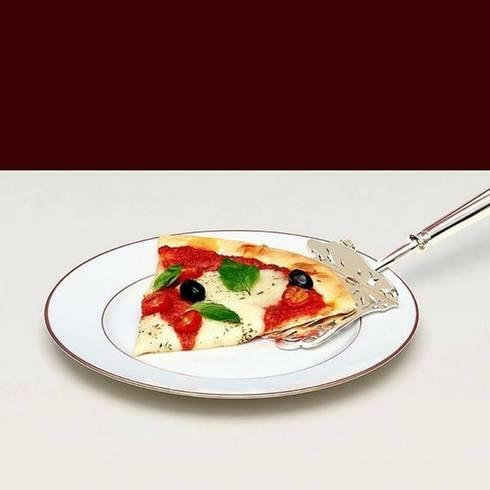 A slice of life should be served however you like, such as with this server from Christofle's Albi collection, available at Glassworks! Celebrate International Women's Day At Cheeks Friday! Cheeks Celebrates International Women's Day, Friday, March 8, 2019! One day only! 20% Off everything in stock. Embroidered Monogramming At Glassworks And Cheeks! 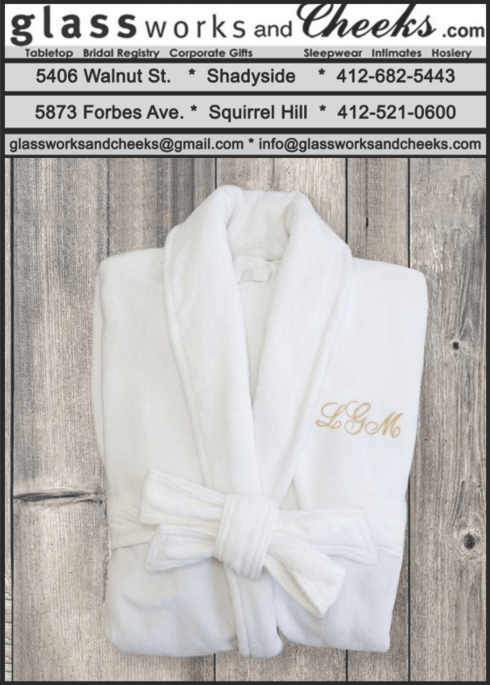 Glassworks And Cheeks now offer personalized embroidered monogramming. 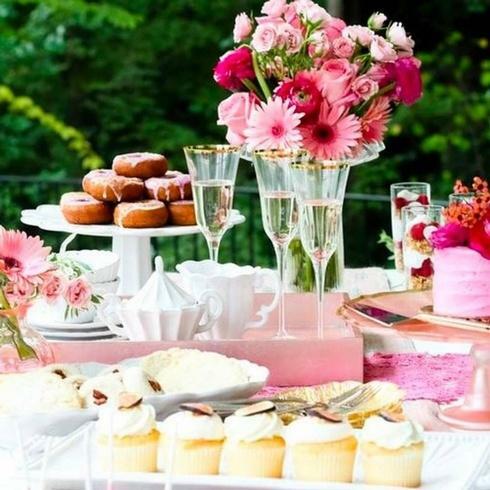 The perfect way to enhance an engagement, anniversary, birthday or holiday gift. Available on robes, pajamas, table linens, undergarments, and more. 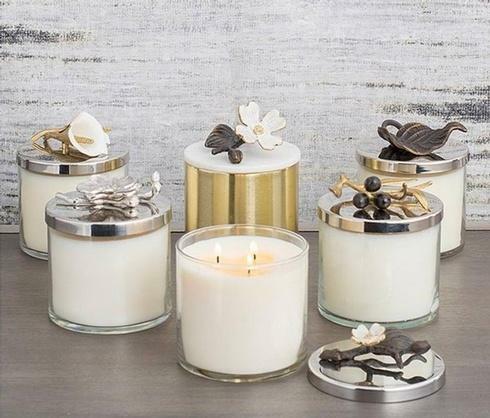 The Michael Aram Signature Scents serve as a decorative addition to your home collection and each scent captures a moment in time. Cozy up with the pine cone candle and capture moments of warmth this winter, or reminisce of memories in the warm Tuscan sun with the olive branch candle. Each fragrance allows you to create new marks of your own.